Mediterranean Gary Evans on Behalf of the McIlhenny Co.
Grate the cucumber and drain the excess liquid out. Put into a colander or sieve and sprinkle it with salt. Put a bowl / dish / plate on top of the cucumber and weigh it down, so it pushes the cucumber towards the holes in the sieve / colander. Leave for about half an hour. 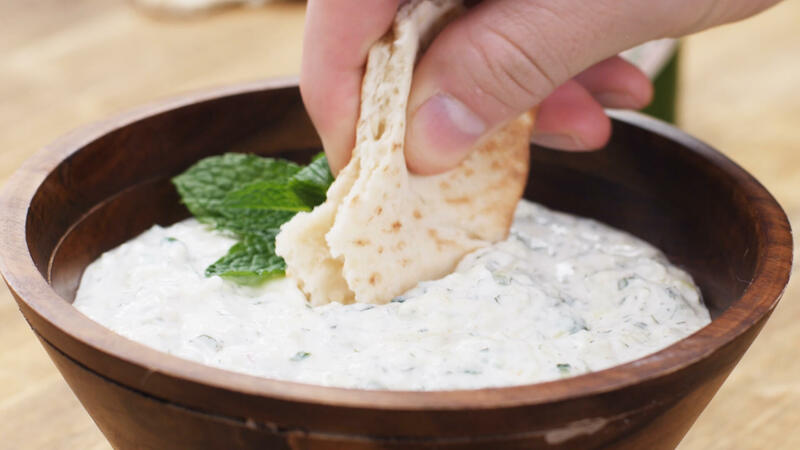 Chop the mint finely and mix with the Greek yogurt, Tabasco® Green Jalapeño Sauce, garlic and ground cumin. Mix the cucumber with the dressing and serve with toasted pita bread.